After the death of the Holy Prophet (SAW), Bibi Fatemah (SA) had to make a stand against the oppressors. She did not hesitate to stand for her rights. She was strong and truthful, and stood up for what she knew was right. To illustrate this, I was inspired by Islam from the Start’s post about Imam Hussain (AS). He also stood against oppression. We adapted this activity for Bibi Fatemah (SA). 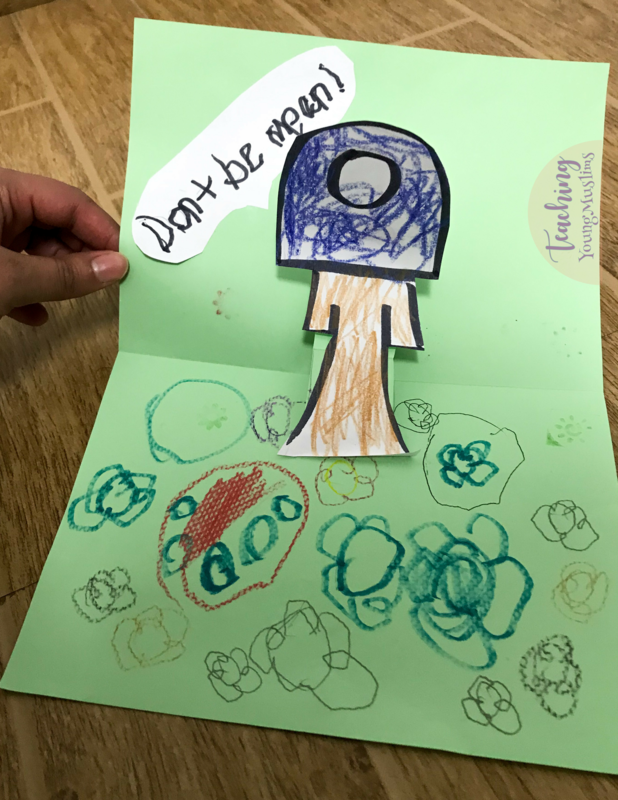 We decorated the inside of the card with a garden, because one of the things that Bibi Fatemah (SA) stood up for was her rights to the Garden of Fadak. For older kids, you can say “I stand up for my rights.” or you can include a portion of her sermon, where she asks “Is it right that I should not get my inheritance?” I like the information here.